Welcome to Fox College, where our students #FinishFirst. 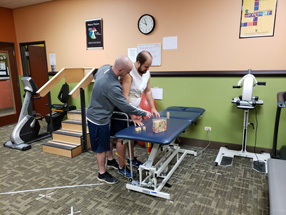 Everything we do at Fox College is so you can Finish First. 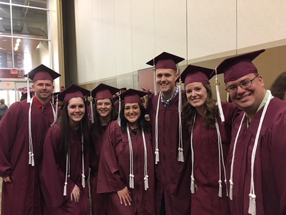 Proactive career placement assistance is offered to graduates, so you have help finding a good job. Experienced faculty want to help you succeed. 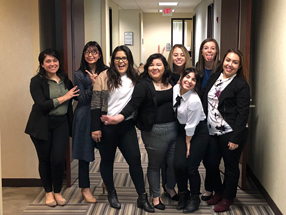 Find out more about how we help students Finish First through our career-focused programs, student resources and career placement services. The single best way to find out about us is to visit and see things first hand. Well-equipped campuses are located in the Midway Hotel Center Campus and in Tinley Park. 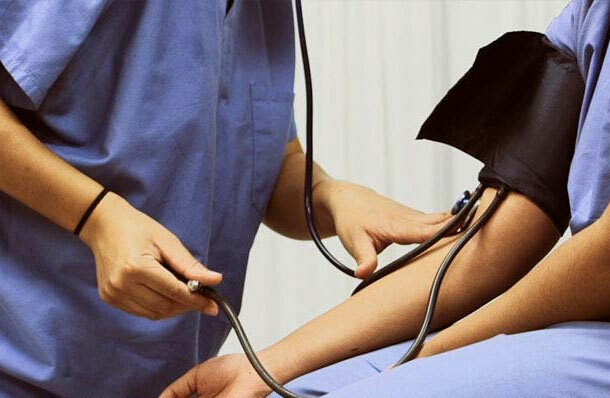 Call us at 708-444-4500 or click here to schedule your visit! 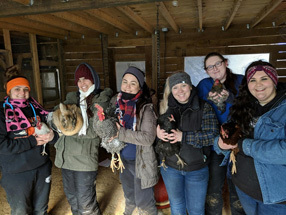 Vet Tech students enjoying their time at the farm! 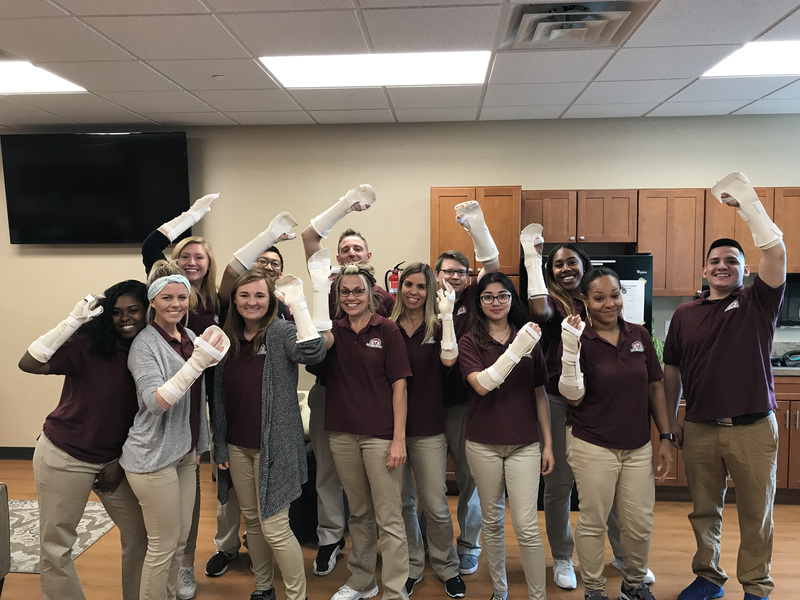 Our Physical Therapist Assistant students are busy preparing for their on-site clinicals! Occupational Therapist Assistant & Dental Hygiene students participated in a great collaborative learning experience! 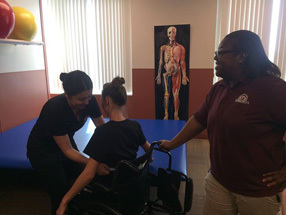 OTA students taught the DH students how to transfer a patient/client from a wheelchair onto another surface while the DH students provided some oral hygiene instructions OTA students can use with their clients. DH students hope to be able to use this information when they see wheelchair bound patients in our dental clinic! The spectacular Administrative Assistant students! 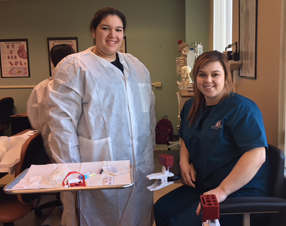 Medical Assisting students are always working on honing their blood draw skills! 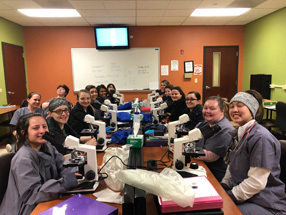 Vet Tech students in Clinical Laboratory 1 performing microscopic evaluations on canine, feline and equine blood. PTA students assessing posture using a plumbline! OTA students showing off their casting work!